1886 Articles of Incorporation were filed at the Courthouse on December 4, 1886. St. Paul's became the first English speaking congregation in Red Wing -- thereby passing on the faith to the next generation in the native tongue of their new country. St. Paul's has grown from a founding congregation of 25 to the present 1,800. The financial report after the first year listed receipts of $86.76 and $86.33, leaving a balance of $ .43. It has grown from an infant congregation without a home to the owners of a complete 1/2 block of property and the beautiful structure where we meet today -- a remarkable story of faith and vision. Nine pastors have come out of the membership of St. Paul's. 1891 Purchased and moved a small wooden chapel from West Red Wing to the site. 1927 Dedicated the main building constructed at a cost of $75,000, less furnishings. At the time, the congregation had a total membership of 500, yet they built for 1,500. Original windows were of opaque glass. Altar stained glass window was partly paid for by Sunday School children. Built in Munich,Germany, it was originally constructed there, then taken apart, shipped to Red Wing, and reassembled here. 1931 At the annual meeting, the women were given the right to vote. 1953 Purchased the Boy Scout Pharm, 111 acres south of Red Wing and just north of the Minnesota Memorial Hardwood State Forest, for a total of $485.00. 1997 Removed the houses and constructed a new education/office addition. 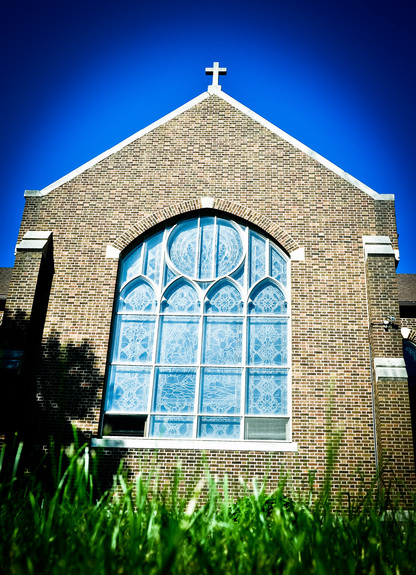 2006 St. Paul's became one of a few congregations in the SE Minnesota Synod to adopt the Reconciling in Christ (now ReconcilingWorks) commitment. 1886-1889 Pastor G.H. Trabert, D.D. 1893-1895 Pastor A. Steimle, D.D. 1896-1901 Pastor J.A. Leas, D.D.